The next step in this journey of the heart is the rough carving. You can bring yourself up to date and review steps 1 and 2 by clicking here. Martin will typically draw bold lines on the surface of the wood he is carving to map out where to remove wood to create the desired shape and depth. 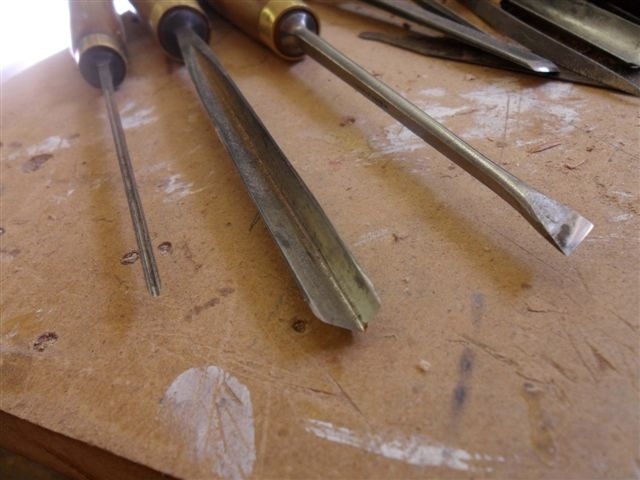 He gathers his carving tools together which includes a mallet and 2 scooped chisels, as well as a pencil. You can see these tools in the photo below. Carving is a reductive technique where you start with large, wide and deep gouging chisels to quickly remove wood and then move to the smaller flat chisels. The mallet is used to add power to the chisel. Martin also uses the thick area of flesh on his palms to hit the chisel as you can achieve greater control in any tricky areas with this method. 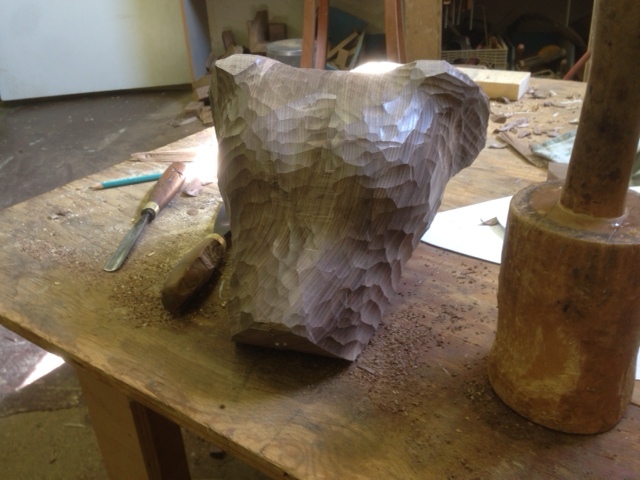 The wood we chose for this sculpture, walnut, is a hard, dense wood so it takes a lot of force to carve it. 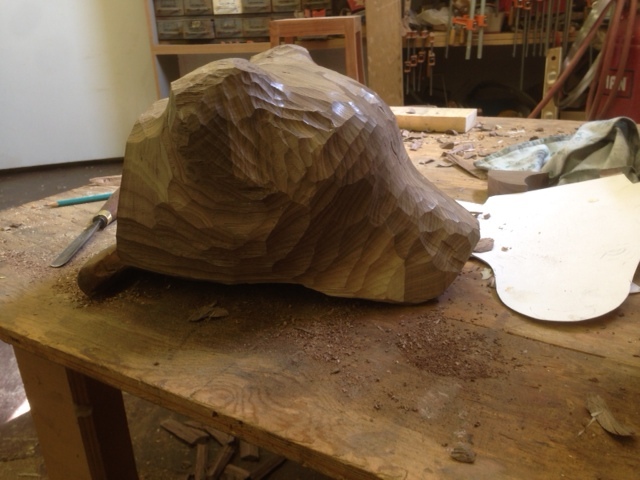 Martin began this stage of carving by focusing on the ears. He removed wood from underneath the ear to capture the delicacy and expressive quality of Iris’s ears. This was tricky but he used fine veining chisels to create crevices and a small spoon gouge chisel to hollow out the ears. In the final installment of this series we we will share with you how the defining details were created to capture the true essence of Iris’ personality and debut the finished product. This entry was posted in custom furniture, hospitality design ideas and tagged carving chisels, walnut sculpture, wood sculpture. Bookmark the permalink.